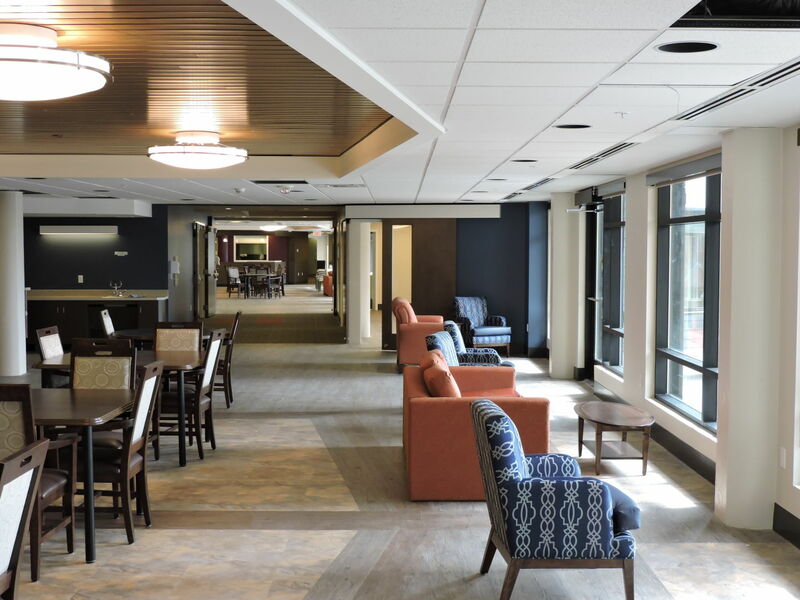 Redstone Supportive Living Facility will be home to 250 residents in the northeast community of Redstone in 2016. 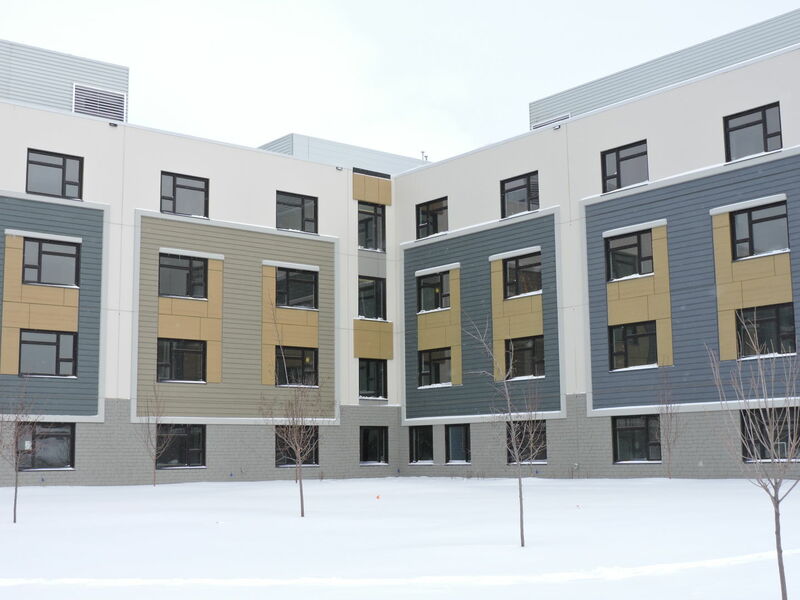 This precast concrete construction will provide a safe and quiet environment to all its residents while providing a durable building for its owner. 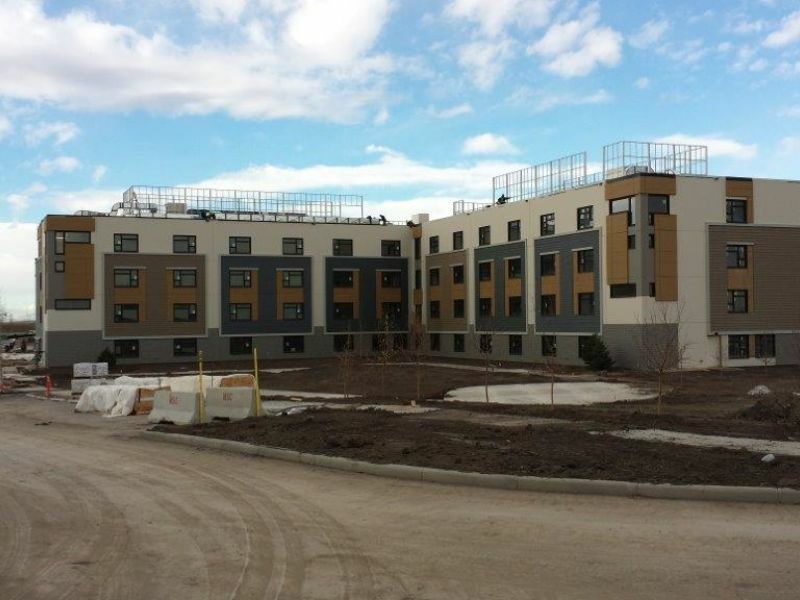 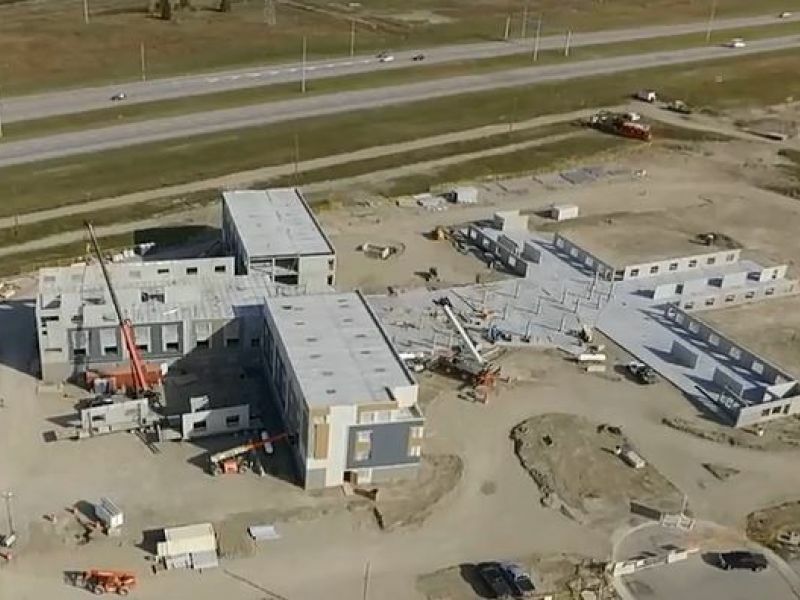 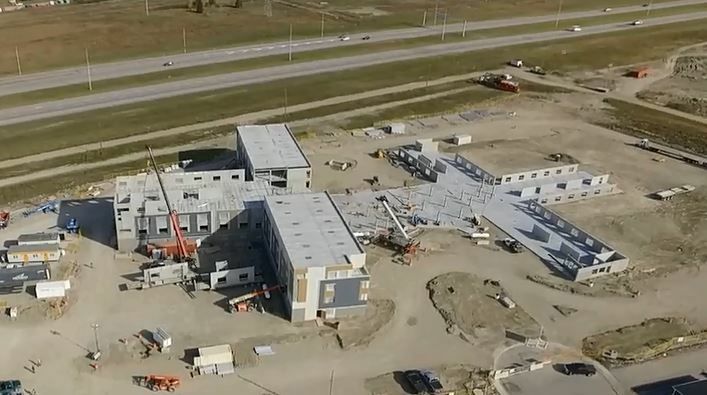 The construction of the Redstone Supportive Living Facility started during summer 2015 and the entire base building will already be enclosed by the end of November this year. 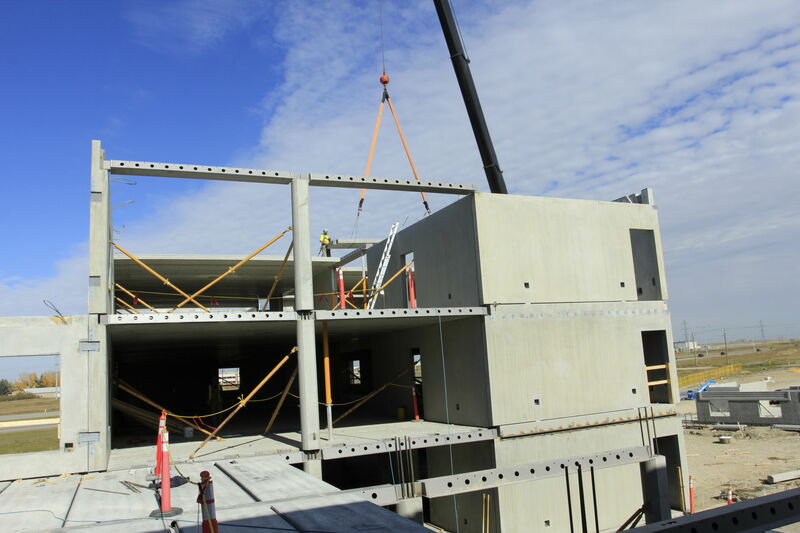 The assisted living project is built using 8” hollowcore slabs supported by Peikko’s DELTABEAM® and loadbearing precast walls. 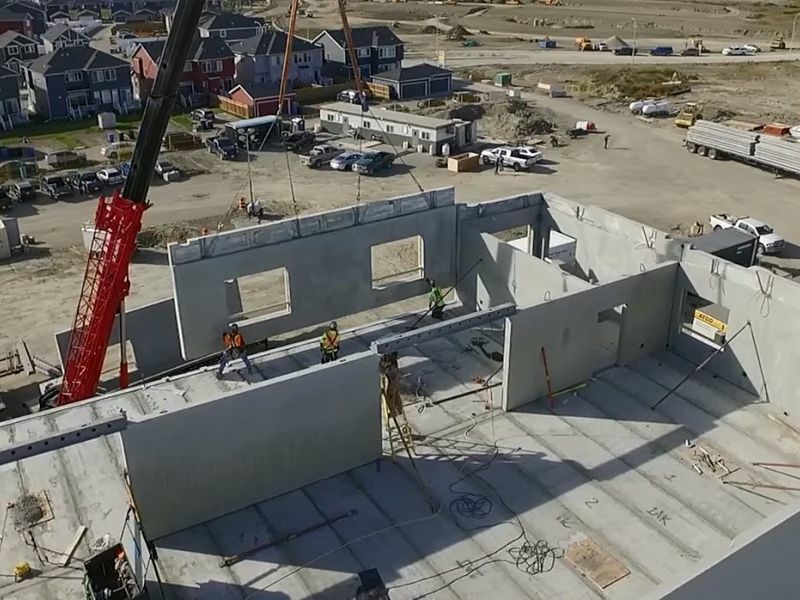 The precast walls on the perimeter of the building act as the architectural cladding and include a 3” high density extruded polystyrene insulation. 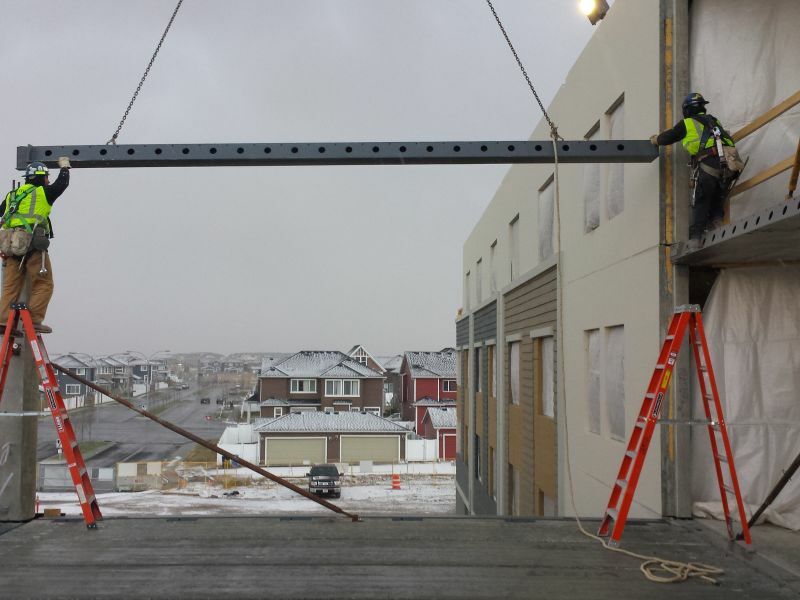 Due to the height restriction imposed by the city of Calgary on this particular lot, each floor had to be as thin as possible. 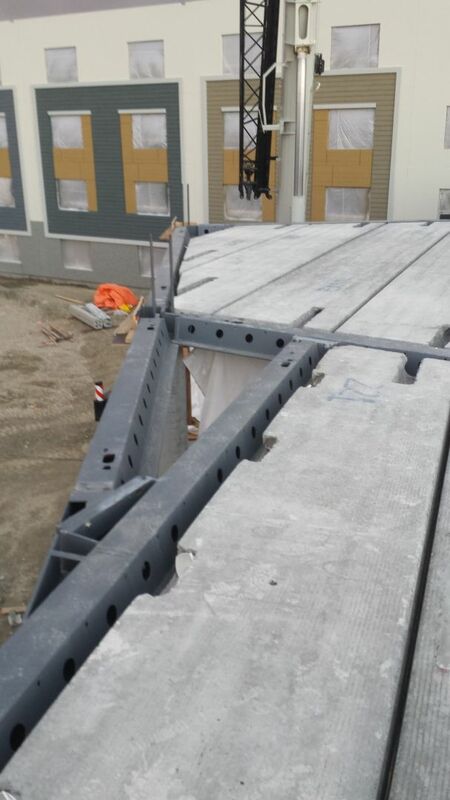 With this in mind, Bill Leblanc, Senior Sales Engineer at Armtec, thought of proposing DELTABEAM® as an alternative to precast concrete beams to support the hollowcore slabs. 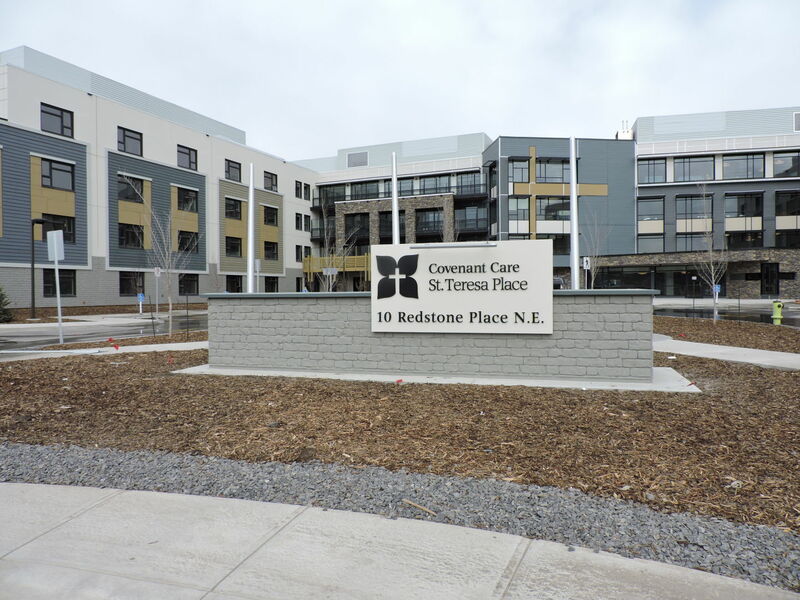 On the Redstone Supportive Living Facility, DELTABEAM® contributed to maintain the four floors of the building under the imposed height restriction while helping with the coordination of the mechanical systems, especially duct work. 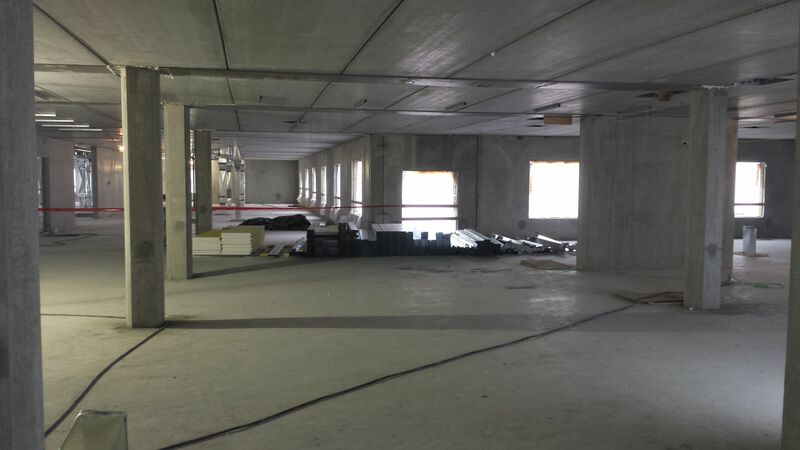 Covenant Care’s latest project is sizeable with over 200 000 ft2 of living area yet the entire superstructure will have taken only three months to erect. 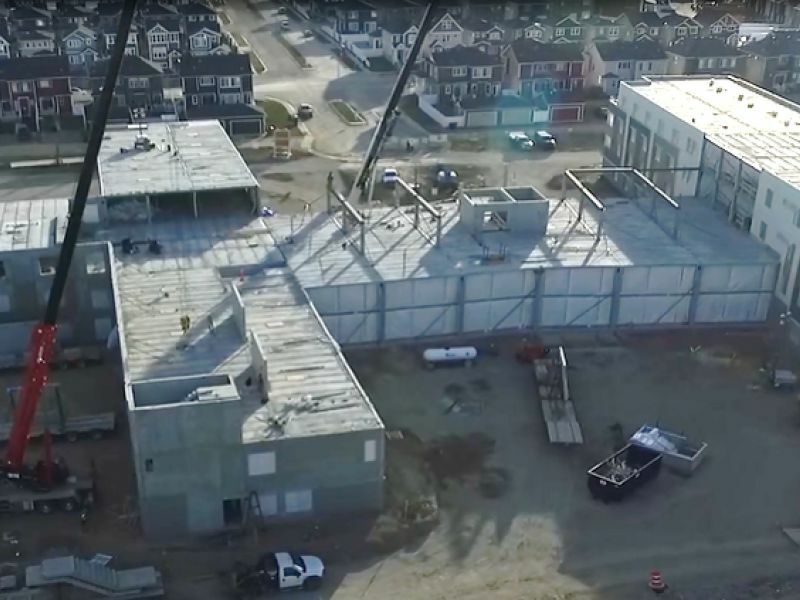 With two cranes on site Armtec is flying components in place at an incredible speed says Kevin Juby, Operations Manager & Principal at Manshield Construction: “Building a building of this magnitude in this short amount of time can only be done with a prefabricated system” states Juby. 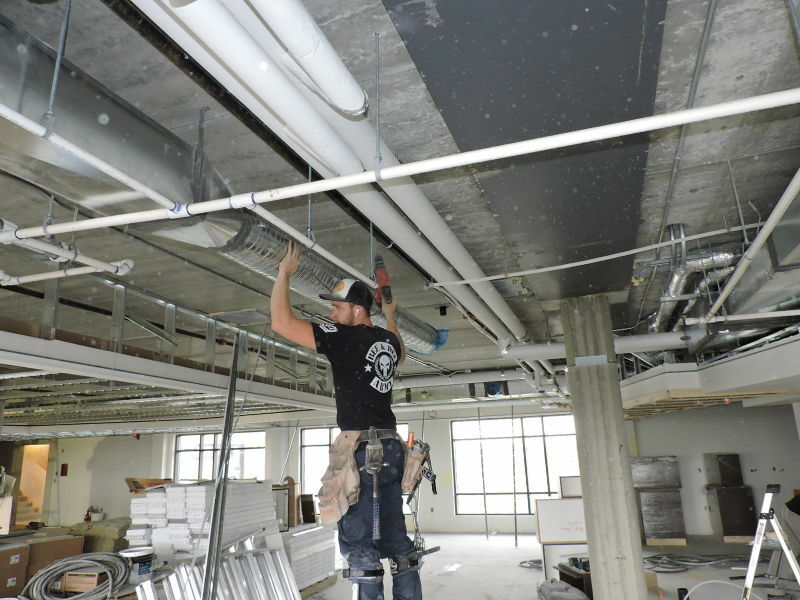 As with all construction projects lead time is always critical. 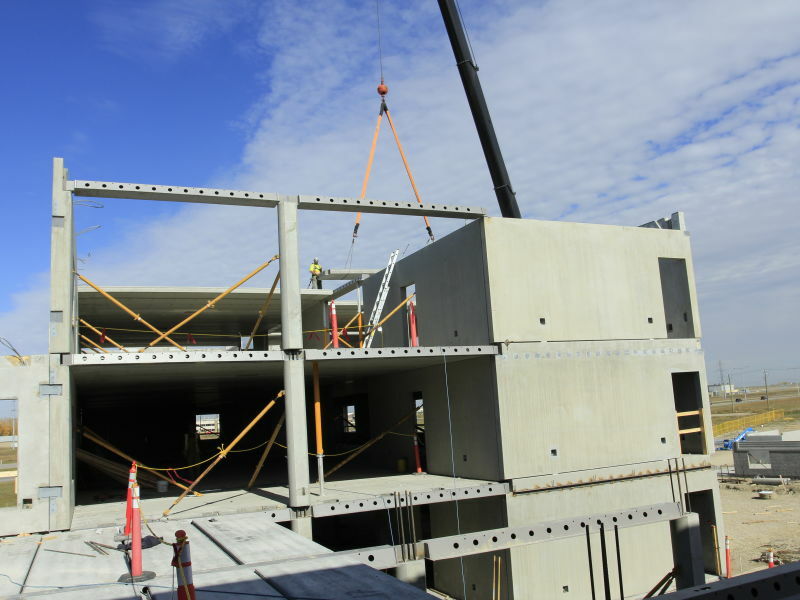 In the case of the Redstone Supportive Living Facility, Peikko was only given 4 weeks to get the first 24 beams on site. 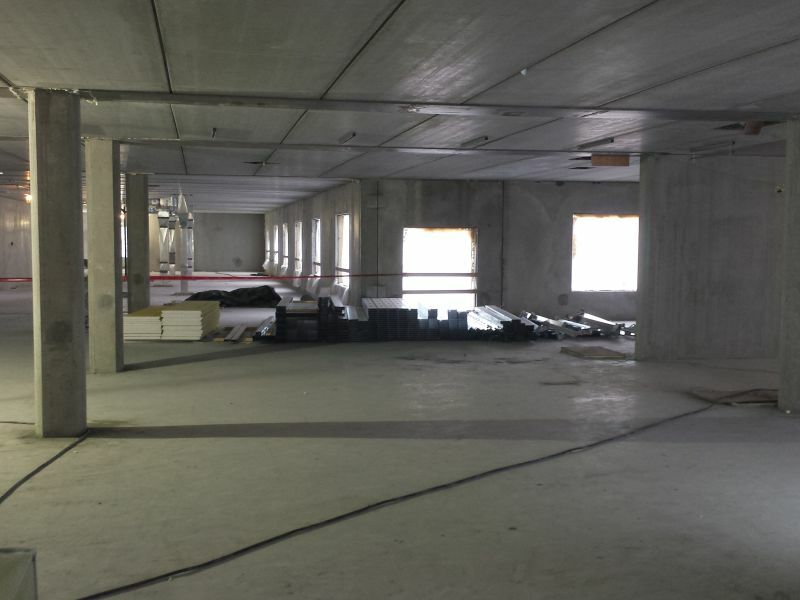 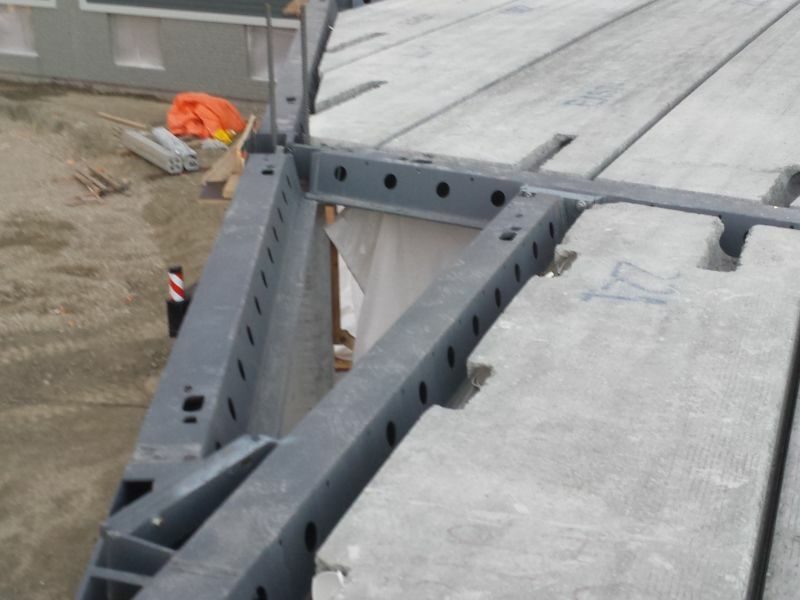 “Our supply chain was really put to the test on this project. 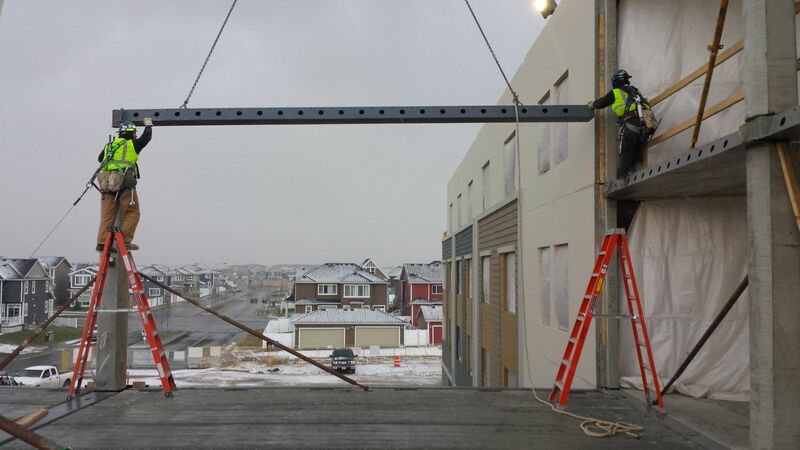 We have spent years helping our manufacturing partners increase their production capacity and quality. 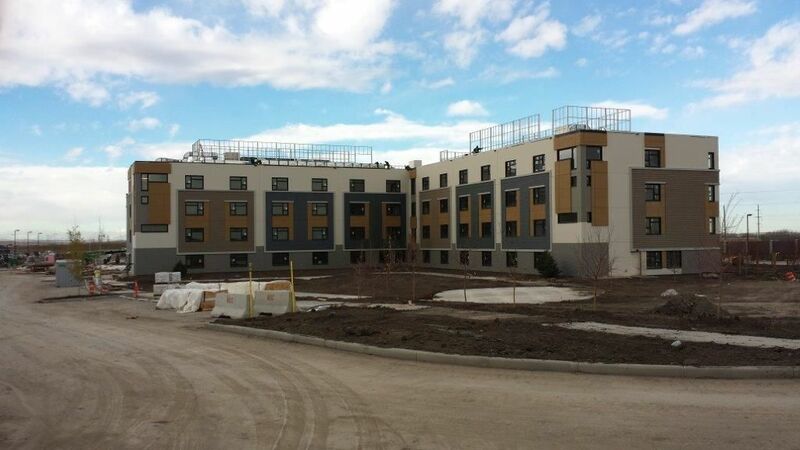 They didn’t disappoint us in this project.” Says Dominic Colpron, Project Manager for Peikko Canada.